﻿ Windsor Palace, Rio De Janeiro | FROM $67 - SAVE ON AGODA! Just 427 feet from Copacabana Beach, the Windsor Palace features a rooftop terrace with a pool and beautiful ocean views. 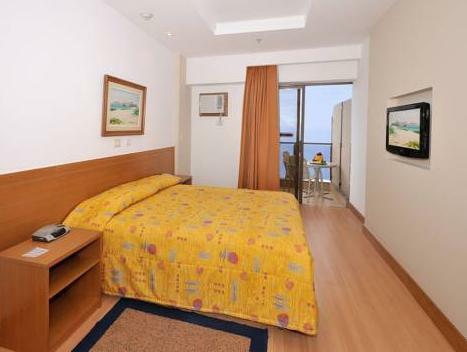 Surrounded by trendy shops, it is only 1.9 mi from the famous Ipanema Beach. 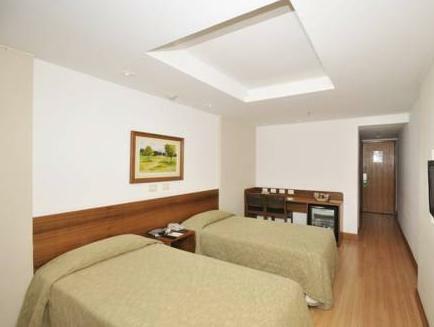 The air-conditioned rooms at the Windsor Palace Hotel provide a balcony, modern bathroom and cable TV. Amenities also include a mini-bar, telephone and radio. Some rooms include partial sea views. The restaurant serves Brazilian and international food in a cozy atmosphere. Room service is available 24 hours a day. Several international and regional dining options are available within a 5-minute walk. Siqueira Campos metro station is 2297 feet from Windsor Palace, while Copacabana Fort is 1.4 mi away. Santos Dumont Airport is at a distance of 5.4 mi and Galeão International Airport is 16 mi from the property. ​​Please note that when choosing a rate that does not include a meal plan, this rate does not include breakfast. In this case, breakfast is available as an extra service and paid directly to the hotel. Charges apply per day and per person. Please note that the hotel will request a credit card pre-authorisation on the total amount of the reservation before or upon check-in. Please be aware that a 10% service charge is not included in the room rate and will be charged at the property. Please note that payment in installments is available only for credit cards issued in Brazil. Please note that payment in installments is not available for extra charges. This property only accepts debit cards issued in Brazil. It does not accept foreign debit cards, nor cheques. Please note that according to the Brazilian Federal Law 8.069/1990 minors under 18 years of age cannot check into hotels unless they are accompanied by their parents or a designated adult. If a minor is accompanied by an adult other than his parents, it is necessary to present a written authorisation for the minor to check into the hotel. Such authorisation must be notarised and signed by both parents, and presented along with notarised copies of their IDs. All minors under 18 years of age also need to present a valid ID with photo, to prove their identity and that of his/her parents. This must be presented even if a minor is accompanied by his/her parents. In the case of a minor accompanied by only one of the parents, it is necessary to present a notarised authorisation signed by the absent parent, along with a notarised copy of that parent's ID. Guests are required to show a photo identification and credit card upon check-in. Please note that all Special Requests are subject to availability and additional charges may apply. It was a very pleasant stay at this hotel in Rio! Near copacabana , just a street .Nice people here and also the staff , especially the restaurant staffs ! Price also reasonable . Friednly Staff. Massage in Room. Balcony. Overall a very good experience. Good Location. Nice Restaurant food. The staffs are very friendly. Massage service in the room is available. expensive hotel but all rio hotels are expensive. clean room and lobby. hotel is a bit old, old fixtures, shower, paint etc but still clean. hotel staff is reasonably helpful and has decent english. quite expensive, but all of rio is expensive. lots of restaurants around the hotel and small grocery store for fruit and water is within a block. I had a fantastic stay in Rio. the stay was made pleasanter due to the staff at Windsor hotel. I treaveled alone so the room being small as may have been commented by other visitors did not matter. 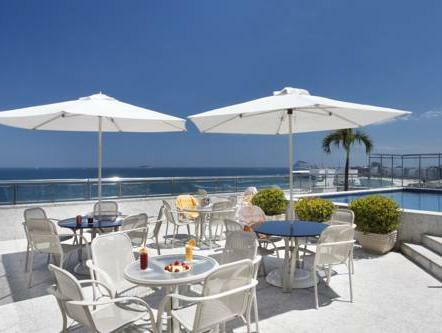 The close proximity to the Copacabana Beach is an attractive incentive to stay in this hotel. Not a five star hotel-But value for money. Located near to beach and others, good breakfast. Windsor Palace located at 3mins walk to Copacabana beach and other places like supermarket, money changer and decent restaurants. It is also near to airport bus route ( from airport) about 7 mins walk. Good breakfast spread with great Brazilian coffee. Rooms a bit jaded, air-con is noisy and no ironing board even if you request and no coffee/tea making facilities However location is good and view from small sswimming pool is good. You could see the whole sstretch of Copacabana/lemme beach. kind staff and good location!! Alt fungerte over våre åtte dager på Windsor Palace. Mange takk for profesjonelt opplegg i alle ledd.